Starlings sing all year round. 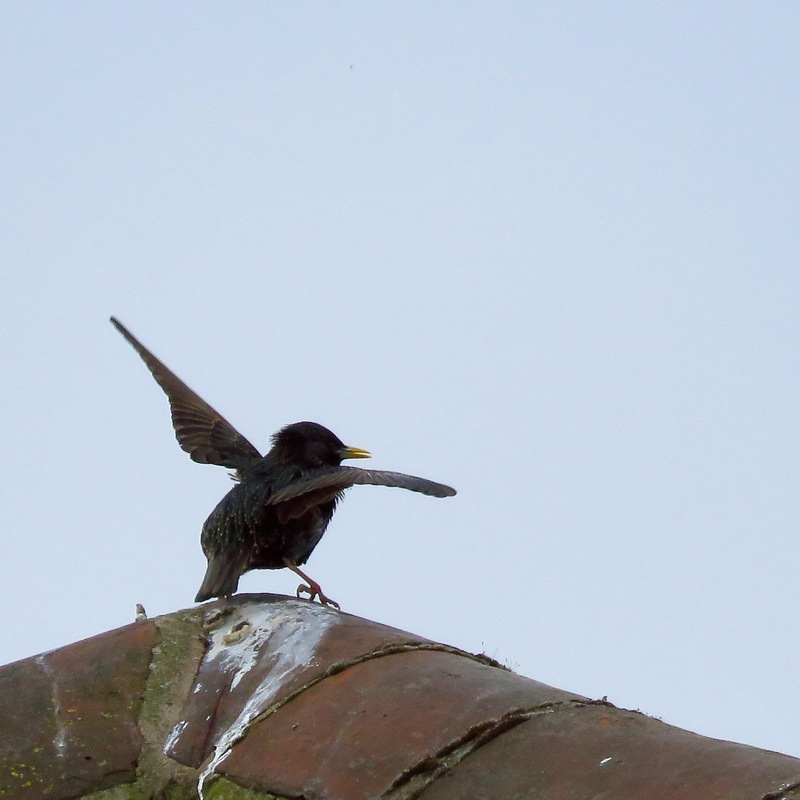 True that in spring they spend more time atop vantage points near their nest, throat feathers fluffed, wings fluttering, emphasising their phrases. Even in December though, they find time to sing. They include calls from other birds, often copied to perfection: pied wagtails, sparrows, swift are some that have misled me when I realised it was a starling singing. I was tidying up the photos of the year when I found this photo from May, which captures the enthusiasm of a starling singing. What a lovely picture! Marvellous to see. Such enthusiasm! I do so love Starlings. Thank you Tinuviel and Toffeeapple for commenting, much appreciated!